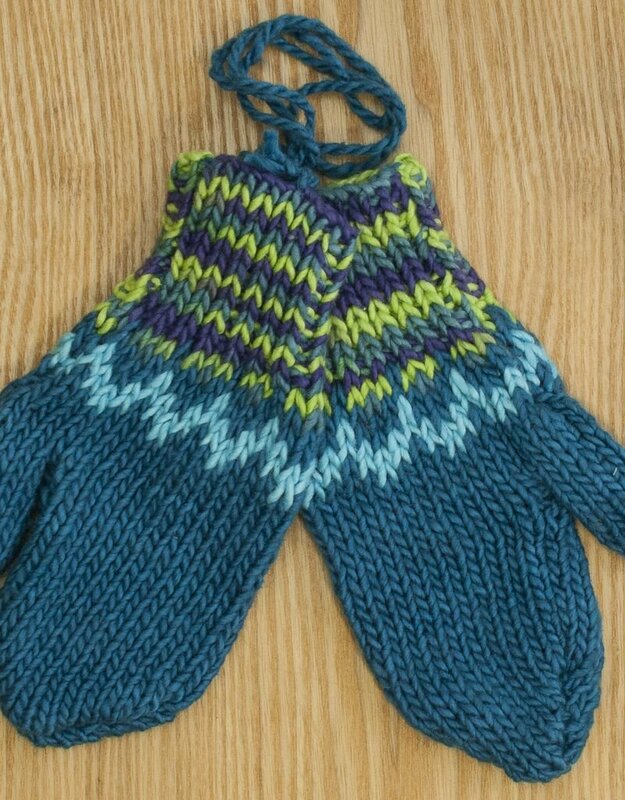 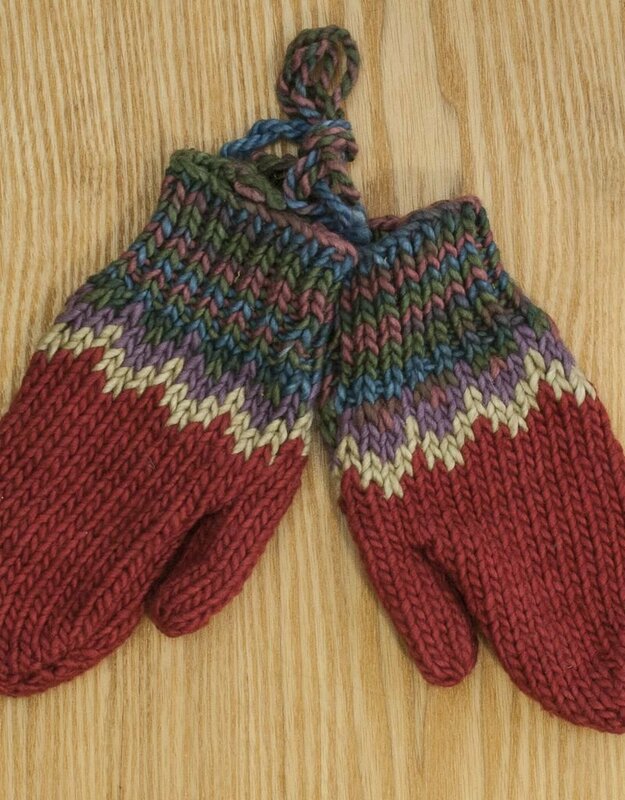 Cotton mittens just for children! 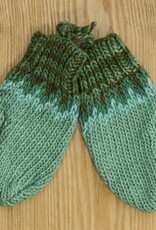 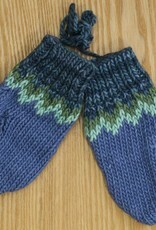 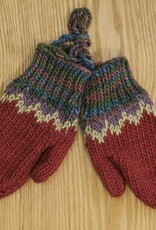 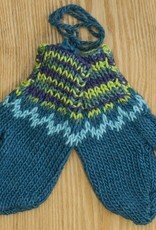 Handknit in Ecuador, we added Icelandic designs to these soft, one-size-fits-most children 4-9. 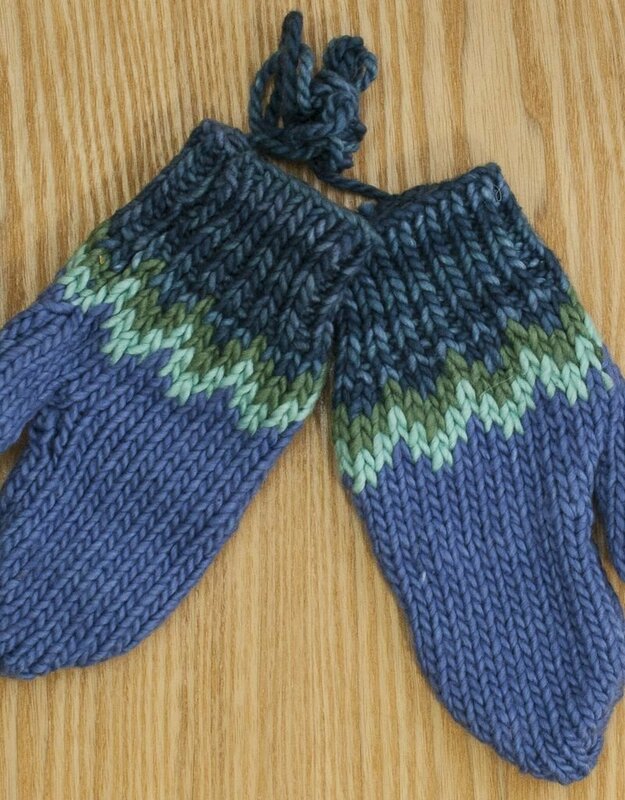 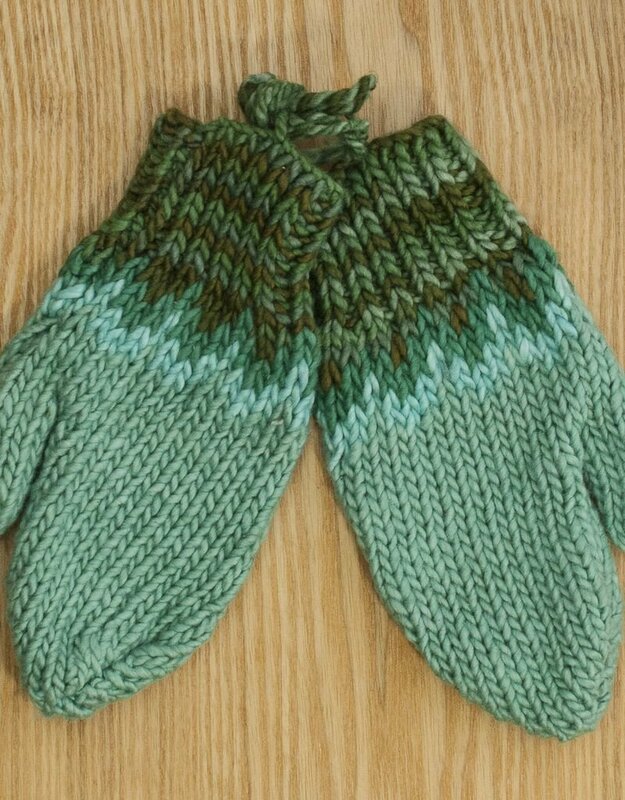 Cotton yarn connects the pair.